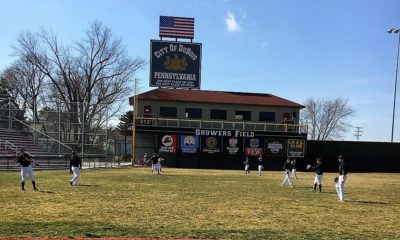 BUTLER, Pa. – Seven different players scored runs to help visiting Clarion defeat Karns City, 7-1, at Pullman Park in Butler. Freshman Chase Kriebel picked up a pair of hits, including a triple, and added two RBIs for the Bobcats. Skyler Pastor hit a double and triple to go along with a run and RBI. Ty Belles paced the Gremlins with a pair of hits in three at bats. Steve O’Donnell scored the only run thanks to a Jake Weckerly RBI. Skyler Rhoades earned the victory with four strikeouts while allowing four hits in four innings of play. Kriebel finished the last three innings and struck out nine while allowing no hits to earn the save. Tyler Yough took the loss for the Gremlins giving up five hits and five runs while striking out four. STRATTANVILLE, Pa. – A seven-run sixth inning propelled Clarion-Limestone to an 11-0, six-inning victory over visiting Keystone. Curvin Goheen went 2-for-3 with two runs scored and an RBI to lead the Lions. Colby Himes tallied two hits and two RBIs and Bryson Huwar and Corbin Coulson scored a pair of runs. Troy Johnson paced the Panthers with two hits. Goheen pitched for 3.1 innings and earned the win for the Lions by striking out seven and giving up two hits. 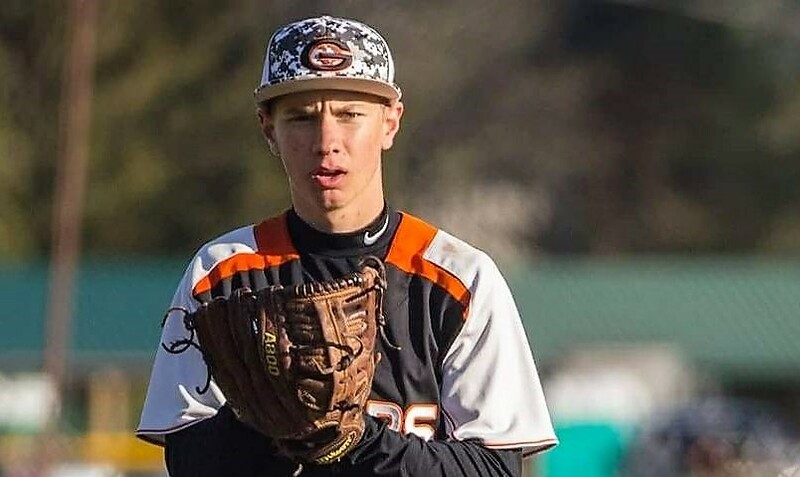 Dawson Steele started for the Panthers and gave up two hits and two earned runs while striking out three in three innings on the mound. 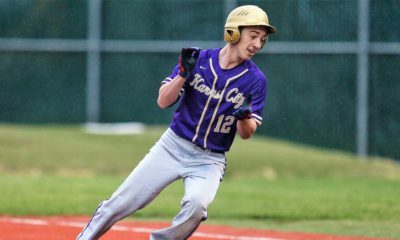 WINGATE, Pa. – Hayden Williams scored three runs in Clearfield’s 10-1 victory over Bald Eagle Area. Nathan Barr led the Bison with three hits and three RBIs with Allan Myers adding a pair of runs. Caullin Reed chipped in for a hit, a run and two RBIs in two at bats. Kael Gardner scored the lone run for Bald Eagle Area while Matthew Reese hit a double. Eli Glass got the win for Clearfield with seven strikeouts and allowing two hits and one earned run. Nick Mayard took the loss giving up three hits and four runs while striking out four for Bald Eagle Area. WESTFIELD, Pa. – Otto-Eldred rallied from a 4-0 deficit in the first inning and went on to defeat Cowanesque Valley, 9-4. Andrew Sheeler led the Terrors going 3-for-3 with two runs scored while Chris Connelly and Tommy Vanscoter adding a pair of hits and two RBIs each. 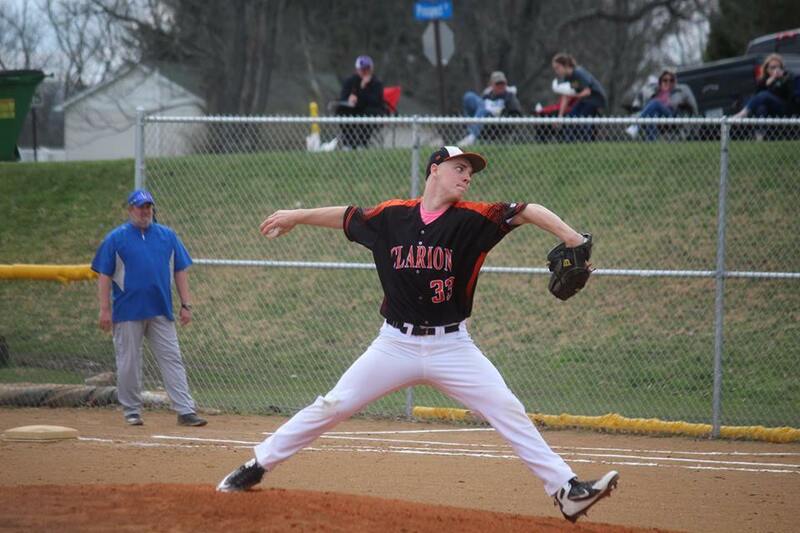 Jacob Merry earned the win for the Terrors by striking out four and allowing one hit in 2.2 innings pitched. ST. MARYS, Pa. – Carley Semancik went 3-for-5 with three runs scored to help visiting DuBois Central Catholic defeat St. Marys, 9-5. Semanchik and Mia Meholick each hit a home run for the Lady Cardinals. Maia Cogley went 2-for-4 and racked up three RBIs in the win. Alyssa Bittner’s lone hit was a double that resulted in a run. Brianna Grotzinger went 3-for-4 with an RBI and run scored for the Lady Dutch. Anna Mattiui, Maura Fledderman and Pete Schlimm all had a pair of hits. Ashley Wruble got the win for the Lady Cardinals with six strikeouts and two earned runs. Maura Fledderman took the loss giving up six earned runs on eight hits and striking out five. STRATTANVILLE, Pa. – A strong first inning lifted Clarion-Limestone over Keystone, 16-1, in three innings of play. C-L drove in eight runs in the first inning thanks to a balanced team effort. Freshman Abby Himes went 3-for-3 with a triple and an RBI while Karleigh Aaron hit a grand slam home run. Megan Stahlman added a double and a pair of RBIs. Keystone managed to score its lone run at the top of the third. Stahlman earned the win for C-L, allowing only two hits. WESTFIELD, Pa. – Gabby Nickerson went 4-for-4 to help visiting Otto-Eldred get past Cowanesque Valley, 6-5. Riley Raught went 3-for-4 including a double and a triple for the Lady Terrors. Emmalee Sheeler hit a double and Nickerson added three RBIs. Karmen Short went 2-for-4 for Cowanesque Valley. Abby Wolfe earned the win for the Lady Terrors giving up six hits, a walk and striking out nine. Ashley Southard and Makeyla Vargeson combined to give up 10 hits and five strikeouts for Cowanesque Valley.